BBL Architects has maintained a long standing relationship with Clark County. For 15 years the County relied on our expertise on over 65 projects; ranging from ADA upgrades and consulting to a $22.4 million Public Service Center. 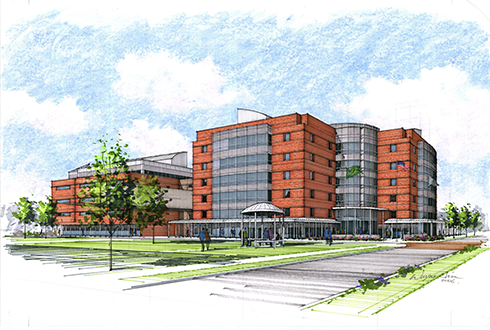 An updated Master Plan was executed to test if the Justice Facilities could be located on the campus. 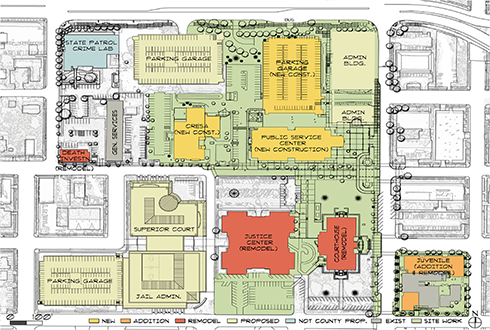 Three building components were included: A Justice Center with the Sheriff’s administration was proposed as a five-story 250,000 sf structure. 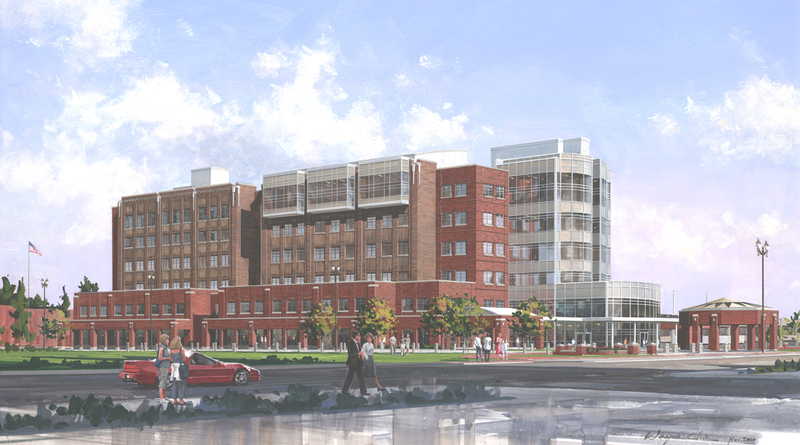 The second Courts Building was proposed as a six-story 200,000 sf structure. 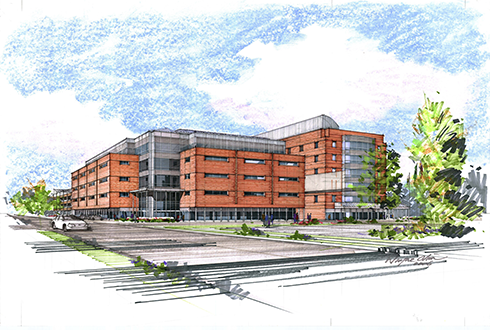 The third component was a three-story, 450 space parking structure. A second parking structure would provide an additional 550 spaces. The planning services provided by our firm included conceptual design, model building and facilitation of review meetings with neighborhood organizations and city agencies which resulted in a published model and master plan for the Clark County Central Campus Area.